In ten years, you will be...Married with children! It's in the cards. You will be married with children in 10 years. You've always considered yourself a family person and your intuition is not wrong! In ten years, you will...achieve your career dream! In ten years you will achieve career success. That thing you've always dreamed about within your career field will magically come true in ten years time. In ten years....you will be living on the other side of the globe! You will be living on the other side of the world in 10 years. Whether it's a major career change or just a change of scene, your world will literally be turned upside down! In ten years you will...find your soulmate! You will find the one you were always meant to be with. So hang tight until then!! Numbers each hold an energetic signature. They have the power to predict your future and reveal secret powers. 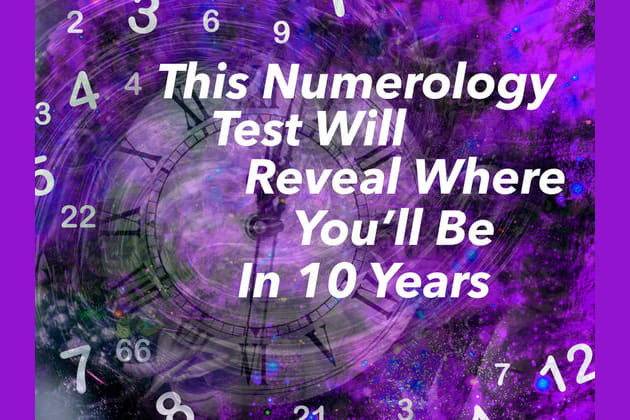 Use your intuition and gut reaction to choose your numbers and they will show you where you'll be in 10 years.